Bottom line: With an open-ear speaker design, Bose's new Frames could introduce some privacy concerns. I'm personally very interested to see what the audio quality is like and more importantly, how noticeable they would be to bystanders. Bose is now accepting pre-orders for Frames, sunglasses that double as wireless headphones (and eventually, an audio augmented reality platform). Bose Frames are offered in two styles – Alto (square and angled) and Rondo (round and slightly smaller) – and block up to 99 percent of UVA / UVB rays. They feature uniformly tinted lenses as well as gold-plated hinges and charging pins and are scratch and shatter resistant, tipping the scale at just 45 grams. 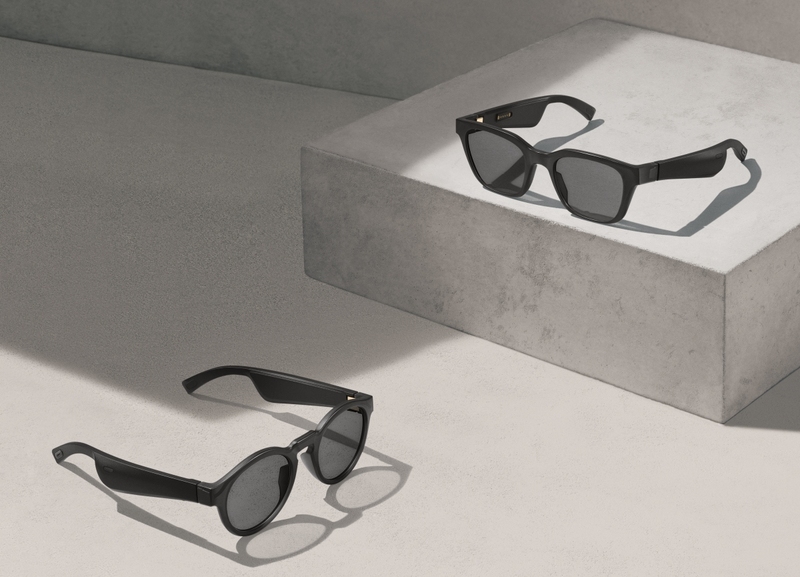 Frames utilize built-in speakers in each of the sunglasses’ arms. At average listening volume, Frames can provide up to 3.5 hours of playback and up to 12 hours of standby on a single charge. A full recharge will take less than two hours, we’re told. What sets Bose’s solution apart from the competition is audio augmented reality. Instead of relying on visuals to relay information, the glasses use location-based sonic cues as you navigate an environment. When checking in at the airport, for example, Bose AR could provide turn-by-burn directions to help get you to your departure gate. Unfortunately, Bose’s AR feature won’t be ready at launch. An update on Bose AR will be provided at SXSW 2019 in March, Bose said, meaning the feature probably won't arrive until even later in the year. Frames will set you back $199 and are scheduled to ship in January 2019.